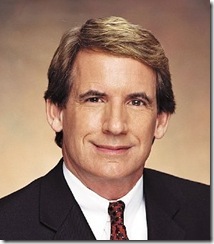 Bryan Norcross, a South Florida TV meteorologist for 25 years, has signed off. His contract at WFOR-CBS4 expires on Monday, and he told station president and GM Shaun McDonald he will not renew. That's because Norcross and Max Mayfield, WPLG-ABC10's hurricane specialist and former director of the National Hurricane Center, are trying to build up their business, America's Emergency Network. 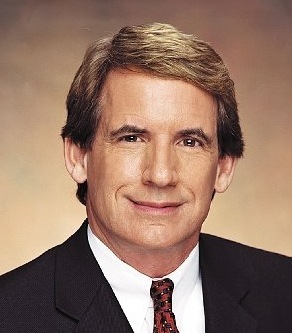 Norcross, 57, joined WPLG-ABC10 in the summer of '83 as weekend meteorologist. In January '90, he moved to WTVJ (then Channel 4) -- and it was there that he became a local hero for his marathon 23-hour coverage during Hurricane Andrew, which hit South Florida on Aug. 24, 1992. He has been at CBS4 since February '96. McDonald says the station is sorry to see him go, but adds ''the door is still open'' should he want to return. Norcross scaled back his on-air in time in '06, coming in for only major weather threats. He continued to do hurricane analysis for CBS News. He leaves the TV biz with mixed feelings. "It's going to be an odd sensation, the first time a storm comes along and I'm not part of it. But I have total confidence in the team that I've worked with." Chief meteorologist is Dave Bernard. It's illegal for gay men to marry in Florida.